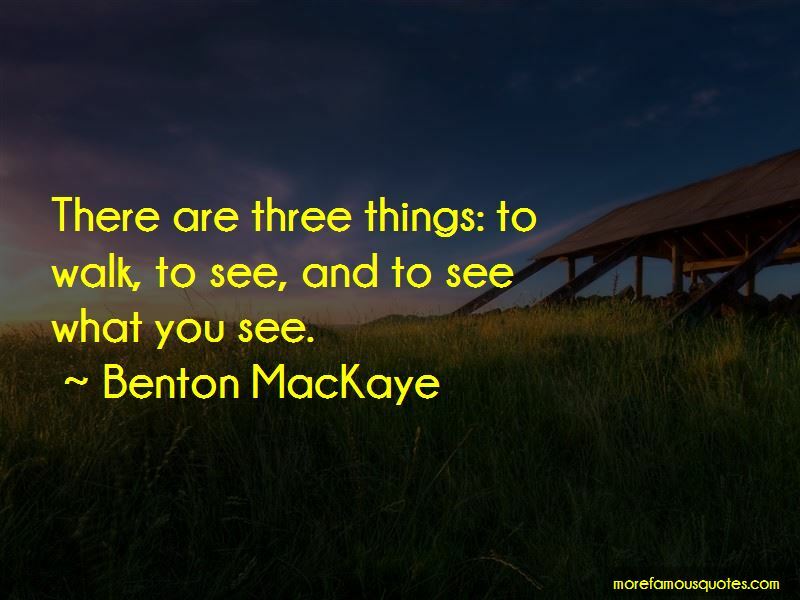 Enjoy the top 8 famous quotes, sayings and quotations by Benton MacKaye. For we need this thing wilderness far more than it needs us. 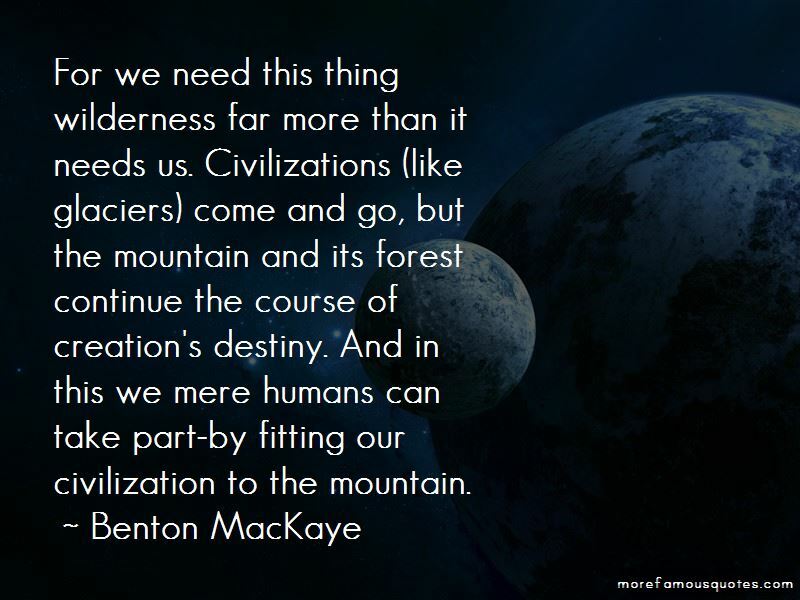 Civilizations (like glaciers) come and go, but the mountain and its forest continue the course of creation's destiny. And in this we mere humans can take part-by fitting our civilization to the mountain. The problem of living is at bottom an economic one. And this alone is bad enough, even in a period of so-called "normalcy." But living has been considerably complicated of late in various ways - by war, by questions of personal liberty, and by "menaces" of one kind or another. One function, at least, of true wilderness is to provide a refuge from the crassitudes of civilization-whether visible, intangible, audible-whether of billboard, of pavement, of auto horn-all of these are urban essences; all are negations of wilderness. 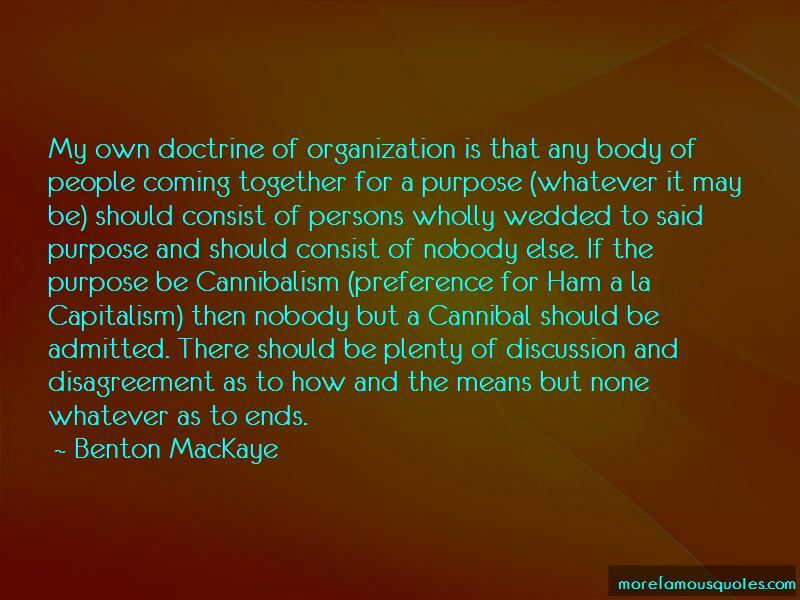 Want to see more pictures of Benton MacKaye quotes? 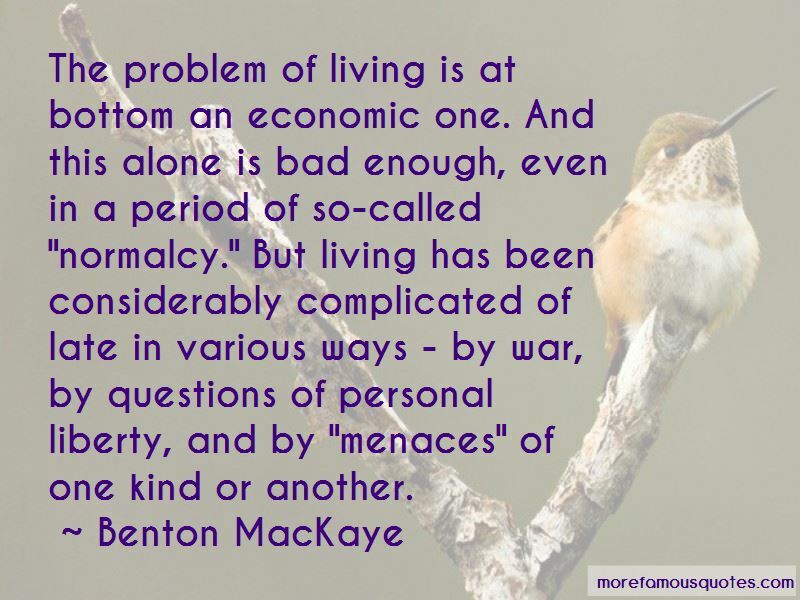 Click on image of Benton MacKaye quotes to view full size.